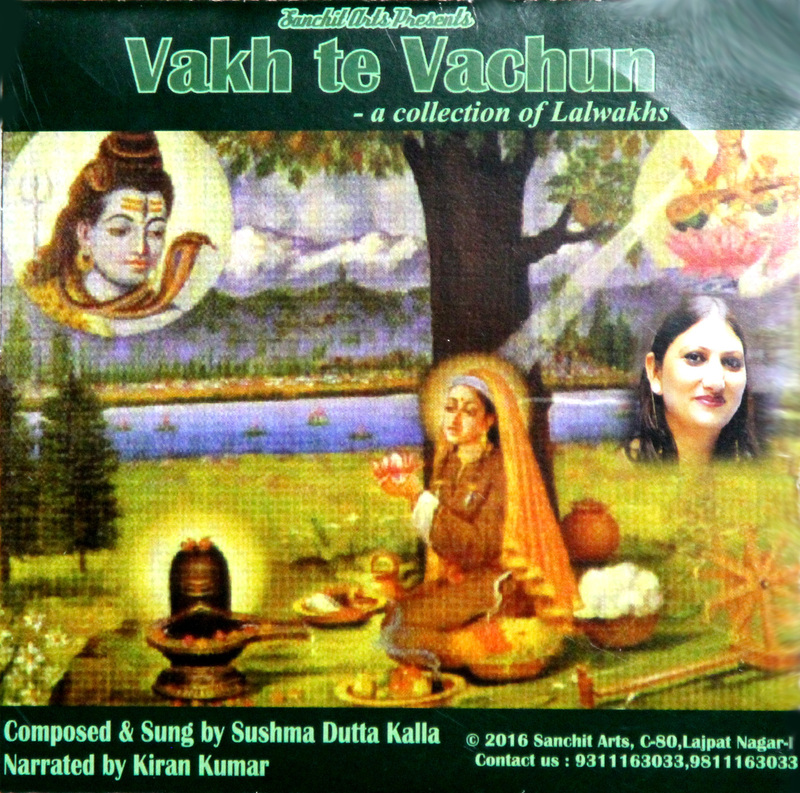 A collection of devotional Lalvakhs audio CD was released with English narration at Shuhul Taph, held at KECSS centre in March 2016. We are pleased to offer the audio tracks below for yiur listening pleasure. lalla vaakah "Garun vaannam kunaye vachun ..... tavee mai laale haut Nangai naachun". Instead of Nangai naachun it should be âNavue Naachunâ (New dance form). The reason being that on Gurus instructions,âLallaâ realized Oneness with God and thus her worldly manifestations got transformed into the celestial dance (Cosmic dance) full of blissful energy. And not that She started dancing naked as perceived by most of us. I need to be corrected if my conceptions are wrong. The painting of LalDed depicted here in this advertisement has a copy right with Dr Kanayalal Raina. Original painting is still the property of Dr Kanayalal Raina. No permission was granted by Dr Kanayalal Raina to the singer Sushma Ji to use the painting in her albums. I accidently happened to get this site and came across your recordings. I am nobody to comment on the intricacy of you singing, being a lay man. but I found it divine and soothing to the heart. I had heard about lala rukh of Kashmir long back, so I played your recording. honestly, I do not know Kashmiri language at all. but I could grasp a little from the commentary, whish is sufficient to convey the wisdom.